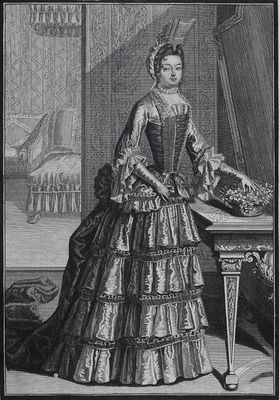 Madame l'Electrice de Brandenbourg, 1702. Note her Fontange with a very broad, flat fold in the middle, the Fontange at this time is tipped down low. Название произведения: Madame l'Electrice de Brandenbourg, 1702.